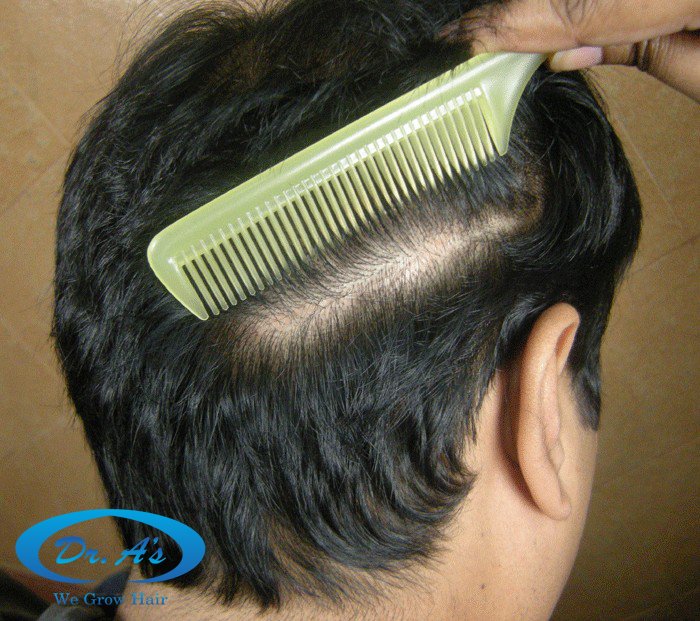 1500 FUHT grafts were transplanted to create a very natural hair restoration in the crown swirl area. 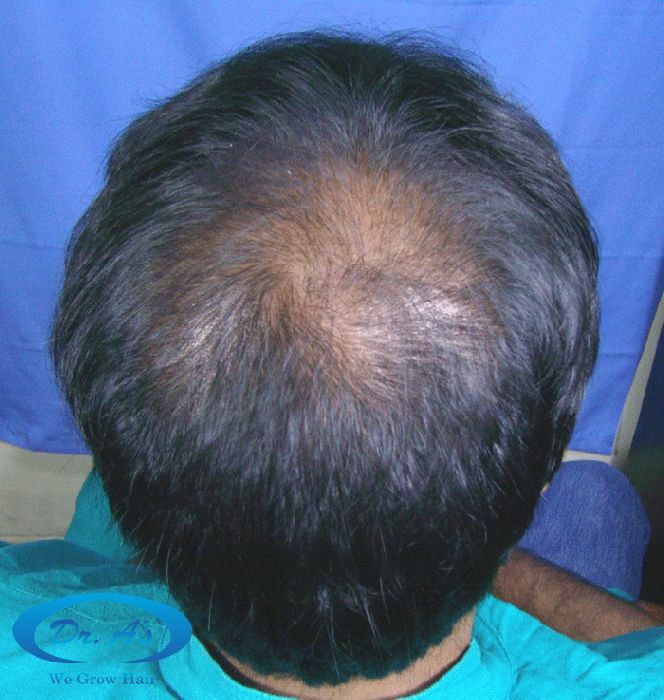 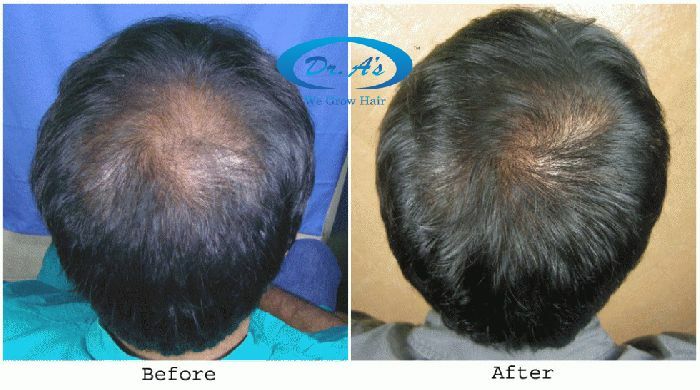 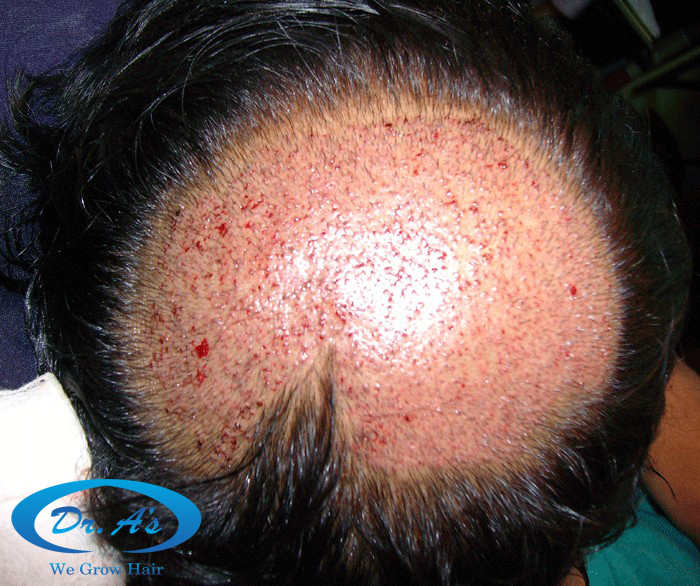 Trichophytic closure was performed in the strip donor area of scalp. 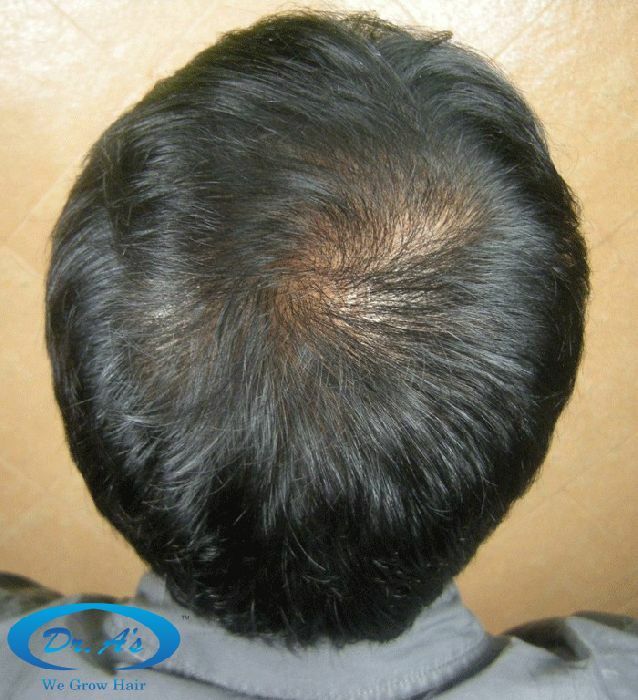 Maybe it’s dark hair or maybe he needs a shampoo, the swirl doesn’t look very natural, the result is not bad but it’s just that the hair doesn’t flow very well in the swirl.